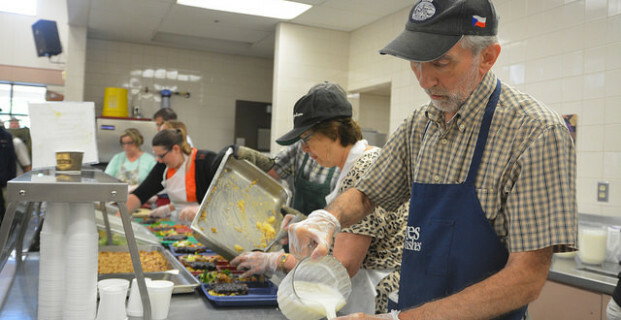 Catholic Charities of St. Paul and Minneapolis serves those most in need. It is a leader at solving poverty, creating opportunity, and advocating for justice. The needs for social services are constantly changing, and since its founding nearly 150 years ago, Catholic Charities has worked to adapt to these changes. Catholic Charities responds in three ways: preventing poverty, meeting basic needs in time of crisis, and creating pathways out of poverty. You can see the values of Catholic Charities at work in all of their 39 different programs which assist 30,000 people each year across the Greater Minneapolis-Saint Paul Region. 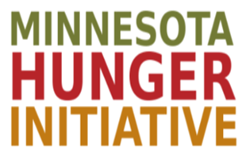 Catholic Charities’ drop-in meal programs located at the connection centers in Minneapolis and St. Paul, serve as a bridge to stability. People who are on the verge of, or experiencing homelessness, come to Catholic Charities for meals, are screened for other needs, and then connected to a wide variety of critical services as pathways out of poverty. In addition to serving nutritious, hot meals, these convenient, one-stop locations encourage and empower clients in achieving both short- and long-term foundational stability and self-sufficiency, by offering on-site services to improve health, income, housing stability, and wellbeing. Dorothy Day Place in Saint Paul—a bold new vision to prevent and end homelessness– is one of Catholic Charities’ current critical initiatives. The original Dorothy Day Center was created 36 years ago with the intent to provide drop-in meals. As need for more resources was apparent, it transitioned into an overnight shelter. Six years ago they reached maximum capacity and had to begin turning people away who were looking for shelter. This is when the community came together and began the largest public-private partnership in state history in housing and social services: Dorothy Day Place. The project is broken up into two phases. The first, which opened in January 2017, is “Higher Ground Saint Paul.” This five-story building, which is across the street from where the Dorothy Day Center once stood, offers nearly 500 people experiencing homelessness a place to sleep at night through numerous options for emergency shelter and permanent housing. Phase 2 of the project will be the located on the former site of the Dorothy Day Center, and will be called the “Saint Paul Opportunity Center and Dorothy Day Residence”. This six-story building will be a one-stop location that will provide hot meals and connect people with the services they need most. The building will also include the Dorothy Day Residence, which will provide 177 permanent housing units. Construction has already begun for phase 2 and is planned to be completed by 2019. To learn more about Catholic Charities of St. Paul and Minneapolis click here. Also check out this page for more information on the Dorothy Day Place project.